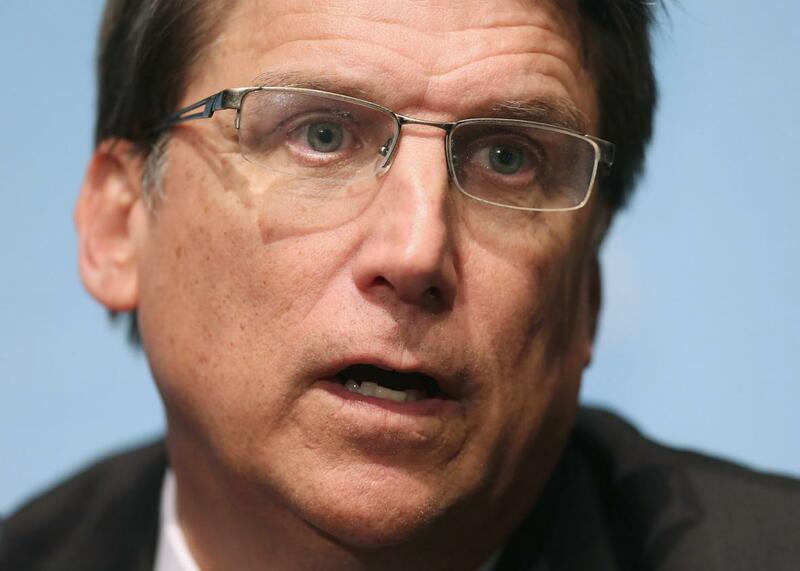 North Carolina Republicans overturn Charlotte’s ban on LGBT discrimination. North Carolina Gov. Pat McCrory at a news conference with members of the Republican Governors Association at the U.S. Chamber of Commerce on Feb. 23, 2015, in D.C.
Last month, the city of Charlotte, North Carolina, passed an anti-discrimination ordnance providing legal protections based on sexual orientation, gender identity, and gender expression, the most notable of which would allow transgender people to use the public bathroom of their choice. The ordinance—which was set to go into effect on April 1—came in the midst of the larger national debate over bathroom access, one that has, as the New York Times notes, appeared to largely turn in favor of access of late. The N.C. General Assembly on Wednesday approved a bill that invalidates Charlotte’s new legal protections for LGBT individuals, doing far more than striking down a controversial provision that allowed transgender people to use the bathroom of the gender with which they identify. Gov. Pat McCrory signed it into law hours later. The vote in the House was 84-25 after three hours of debate, with all Republicans voting for it and 11 Democrats breaking ranks with their party to support the bill. In the Senate, the vote was 32-0 after the Democrats walked out in protest, saying they had not been allowed to participate in the process. The speed at which the anti-anti-LGBTQ protection push went from rough draft to official law was remarkable. In the span of about 10 hours, the bill was introduced during a special one-day legislative session, passed by both chambers, and signed by McCrory at around 10 p.m. The bill wasn’t even made public until Wednesday morning, before which defenders of the Charlotte ordinance had no idea whether the GOP lawmakers were going to narrowly target the bathroom provision or strike down the rest of the protections as well. In the end, Republicans went even further than that. The new state law also bars Charlotte or any other municipality from creating new LGBTQ protections, according to the Observer. And since North Carolina doesn’t currently offer any legal protections to gays and lesbians, no new protections is effectively the same as saying no protections at all.